Abigail Forsyth is a leader in the global campaign to promote sustainability. 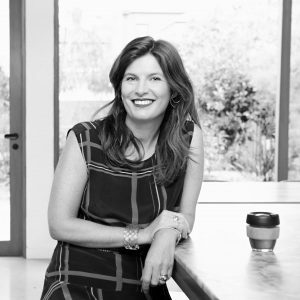 As the co-founder and managing director of KeepCup, known worldwide for its bright, bold and instantly recognisable reusable cups, Abigail is passionate about improving the take-up of sustainable alternatives to disposable and single use items. Following a successful career as a solicitor at a boutique Melbourne law firm, Abigail and her brother Jamie set up their own chain of cafes across the city. Alarmed by the amount of disposable packaging being wasted, Abigail started her search for a more sustainable and environmentally conscious way to serve food, and the concept of KeepCup soon became a reality. KeepCup is the world’s first barista-standard reusable coffee cup, available in the same sizes as disposable cups and capable of fitting under the group head of coffee machines used in cafes and coffee shops the world over. Since June 2009 we have sold over eight million KeepCups, users have diverted billions of disposable cups from landfill. In this time approximately 5 trillion disposable cups have been made and discarded to landfill.